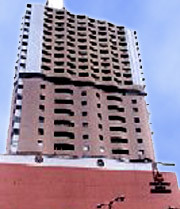 The hotels unique set-up provides guests with breathtaking views of the famous Manila Bay Sunset or the Makati Skyline. The hotel is a mere 20 minutes from domestic and international airports (approximately 8.1 kms. 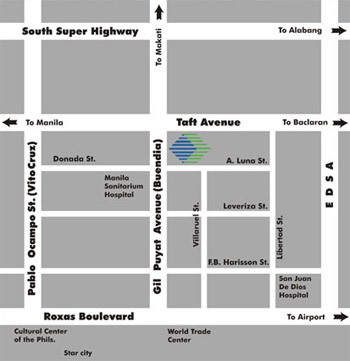 ), 20 minutes from Makati Central Business district or Ayala shopping Center and Harrison Plaza. Accessible through the Light Rail Transit Taft-Gil Puyat Avenue Station.